Hello and greetings from Switzerland! 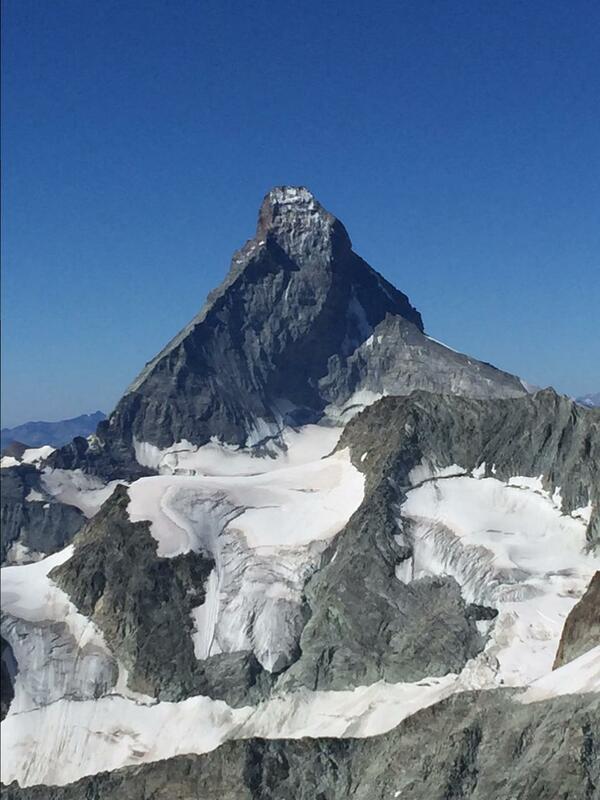 Today we started our 2nd Matterhorn program of the season. We have a great group of returning climbers joining us this week. This morning we had breakfast in Zermatt before heading into the field. We are in the are in the Saas Allmegaller valley spending the night at the Allmegallee Alpe hotel tonight. Tomorrow we are going to head up the valley to 3000m and climb the Dri Hornli which is a multi pitch rock climb. We are going to spend the next couple days in this valley and hopeful to climb the Weissmess, which is over 4000m. We hope the weather continues to stay warm and sunny over the next week.